Submission Deadline- March 4, 2019 - To submit presentation abstracts for the conference, click here. Founded in 1923 by the science faculty and science students of Lincoln University, Lincoln University, Pennsylvania, Beta Kappa Chi National Honor Society is a collegiate honor society dedicated to the promotion of high scholarship in pure and applied sciences. A member of the Association of College Honor Societies since 1961, Beta Kappa Chi now comprises 67 chapters at colleges and universities across the United States, with over 66,000 members. The society publishes the Beta Kappa Chi Bulletin and a Booklet of Information; sponsors, stimulates, and encourages a variety of program activities through local chapters; conducts an annual national convention to transact society business and for the presentation of reports on research conducted by undergraduate and graduate members. or contact us if you are a student interested in becoming a member of Beta Kappa Chi, or a faculty member of a college wishing to form a chapter. Beta Kappa Chi and the National Institute of Science Joint Annual Meeting, hosted by Fort Valley State University, will be held on March 28-30, 2019, in Atlanta GA. 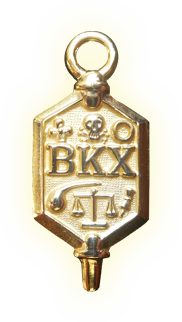 Beta Kappa Chi National Honor Society, Southern University and A&M College, 244 William James Hall, PO Box 10046, Baton Rouge, LA 70813.